Whether you usually find talking to people easy or, as a naturally quiet person, more challenging, being on a first date adds another dimension to making conversation. Even the most fluent conversationalist can struggle with small talk when there’s potential love on the line. You may have already had an online ‘chat’, but nerves can get the better of us at that all-important first face-to-face meeting and, often, first-daters can find themselves lost for words. Either that, or you end up gibbering about anything and everything just to keep the conversation flowing at the risk of over-sharing. Whichever camp you find yourself in, our advice on first date conversation dos and don’ts can help you prepare some back-up banter for your rendezvous. One of the pluses of online dating is that you’ll have had a chance to read through your date’s profile. Make note of some of the titbits of information you glean and weave them into conversation when you meet. Have you watched their favourite film? Do you share a common hobby or interest? Have they holidayed somewhere you’d love to go? Even if you’ve touched on some of this already in your pre-meet messages, it’s a good starting point. Let them elaborate on the things they love, it’s sure to draw them in and start the exchange. To help the conversation flow and ensure you’re not the only one making an effort, ask questions that require more thoughtful answers than a simple ‘yes’ or ‘no’. Ask why they like that particular film, or how they got into their hobby. What is their biggest achievement or what are their pet hates? Just don’t turn it into an inquisition! Hopefully it will lead to them asking you questions in return and you’ll find a natural balance. The best way to really sparkle on a first date is to talk about things you love. What is it that drives you? That inspires you? Do you love to travel, or had a taste of exotic shores and would love to explore more? Do you hike, or dance? Are you a keen am-drammer or festival-goer? Give your date an insight into what makes you happy. If a relationship is to blossom, chemistry has to go beyond physical attraction. Being in-tune with each other’s passions outside of the bedroom is equally important. A smile is a good start. If you want your date to leave with a positive impression, you need to demonstrate that you’re a positive person to be around. Negativity is an energy-drainer, and being on a downer on any date, let alone a first date, is enough to turn a potential love interest off. This could be the start of a wonderful, long-term relationship – so honesty from the outset is important. You don’t need to bare your soul, but avoid lies, however little. They will find you out in the end. It might make for hilarious rom-com storylines when people tell whoppers about their true lives, but this isn’t Hollywood and you’re not Sandra Bullock or Hugh Grant. If you’re not ready to divulge the full story, just say it’s a conversation for another time. Don’t make it up! A genuine laugh is always appealing (even if you let out a little snort in the process). Try and relax as the date goes on and enjoy a few jokes along the way. As long as your date is laughing with you, and the joke isn’t at either one’s expense, it will make the meeting more memorable for having shared some jollity. If you feel the date is going well, a bit of flirtation is a good thing. You want them to get the vibe that you’re interested, just be a little reserved. If you throw yourselves at them, you’ll simply appear desperate. Of course you want to put on your best game-face meeting someone for the first time, but there’s a fine line between trying to show your best self and trying to be something you’re not. Keep it real is the best advice. You don’t have to have trekked through Darkest Peru to be interesting, or throw hilarious one-liners into every story to be funny. You won’t be able to keep it up for long, which simply won’t work if long-term is what you’re after. Yes, they probably are the apple of your eye and you beam with pride when you talk about their exploits and achievements, but your date wants to know about you as an individual, not you as a mum or dad. Don’t hide the fact that you have kids (honesty, remember), but don’t make them a major topic of conversation either. You could end up sounding a little dull if that’s all you have to talk about. A first date isn’t the place to debate Brexit or the state of the UK economy. While it’s important to know you have a similar outlook on life, whether you’re a leaver or remainer shouldn’t determine your destiny as a couple. People can have opposing views and live happily agreeing to disagree, but it could be a bit of a conversation stopper the first time you meet! A first date is definitely not the time for one-upmanship! Even if you did do something bigger and better than them, don’t steal their thunder on a first date. You might have heard the juiciest bit of gossip at work or had the worst day of your life before your date, but don’t bring it to the table just yet. Talking about others behind their back could leave your date wondering what you’re saying about them. And, let’s face it, no-one likes a whinger. 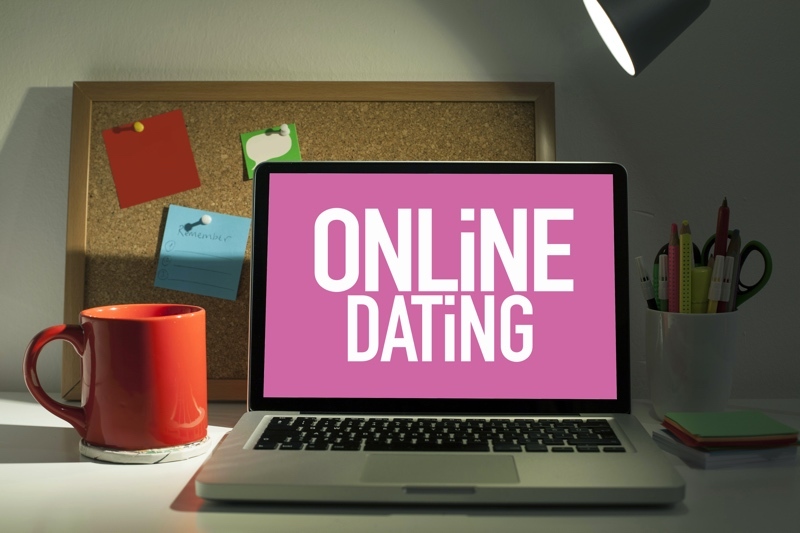 Looking for more Online Dating tips? Find out How Important Is It to Get on With Your Partner’s Family.